A local high-school girl has been murdered. Psychiatrist Dani Harris is determined to discover the mysteries of what happened. Tommy Gunderson wakes up in the middle of the night to find out that an elderly woman has breached his security system. It is soon implicated that someone close to him was involved in the murder. Now he must work with Dani who was the only girl who could resist his charm in high-school all those years ago. 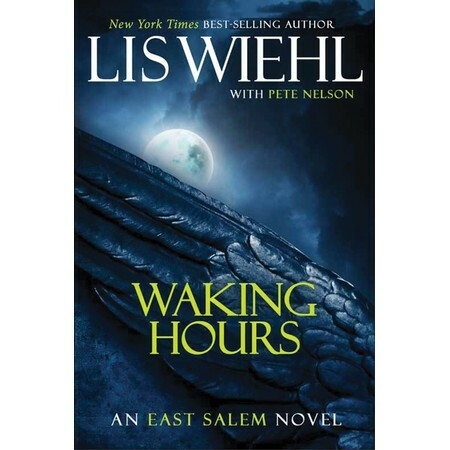 Waking Hours is my first novel by either Lis Wiehl and Pete Nelson. Knowing someone who has read Wiehl’s books before, I decided to give it a try. I am happy that I did. I loved getting to know the characters throughout the novel, especially Tommy. When I read that he’s an ex NFL football player, I was not entirely sure that I was going to like him as I am not a big sports person and I thought that was going to be a big part in the book. Happily, I was wrong and Tommy ended up as a totally different person than I thought he was going to be. I enjoyed his interest in becoming a private investigator and his thought process. His struggle with an incident in his past was also something that was interesting to see him go through and the way that he came to understanding with it. Dani was also a great character yet not as interesting as Tommy, but I was definitely excited to get to know her more. The interaction between Dan and Tommy felt completely natural and not forced. Their feelings for each other were spread out through the whole novel, not taking over any part of it, dulling it down. Regarding the lot: I thought it was very well thought out and that the authors did very well with keeping the reader on the edge of their seat. A few times throughout the book, there were events that took up a couple or so pages that did not seem relevant, which annoyed me at first, but then those events were brought up again later in the novel, quenching the annoyance. I am glad that I picked this novel up, and I recommend it to those who are fans of the mystery genre. Note: I was given a review copy of this novel for an honest review by the publisher. All thoughts and opinions are mine.